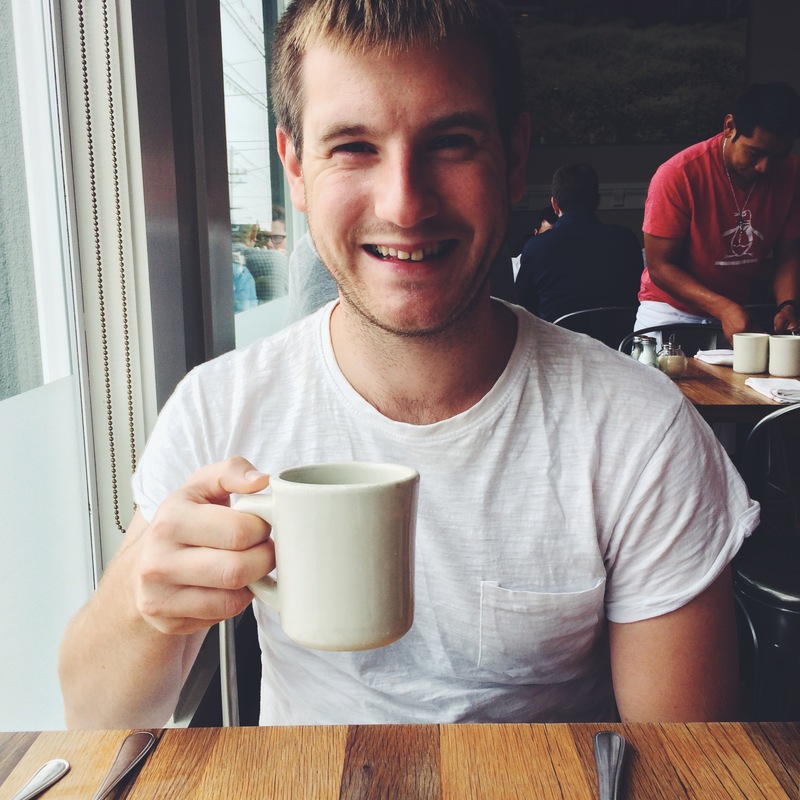 Yesterday was Alex’s birthday and spending it in San Francisco is a pretty great way to celebrate. 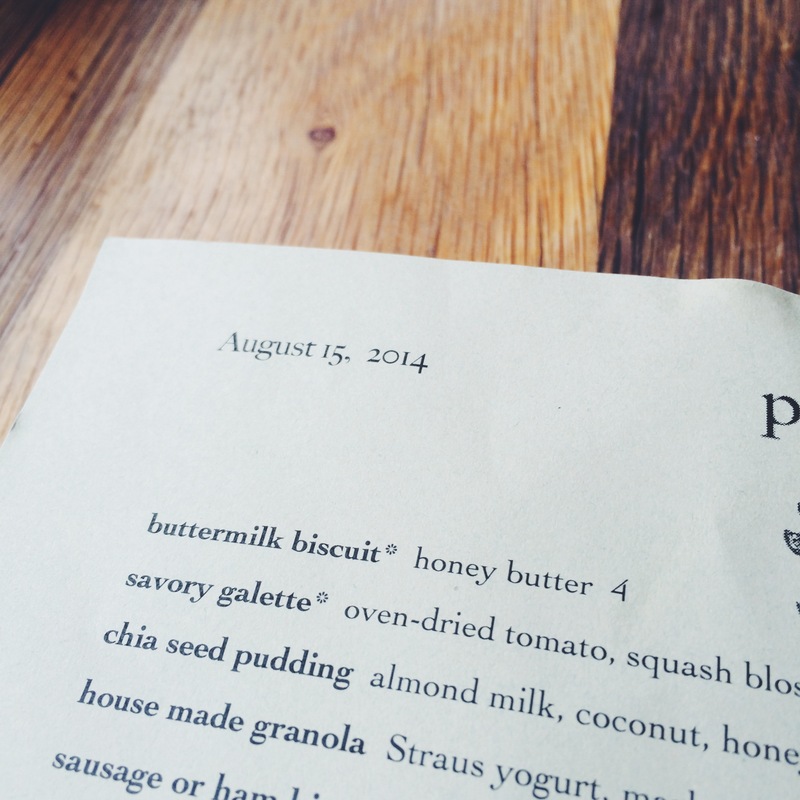 We started the day in Potrero Hill, with an excellent breakfast at Plow. Alex had his traditional coffee. 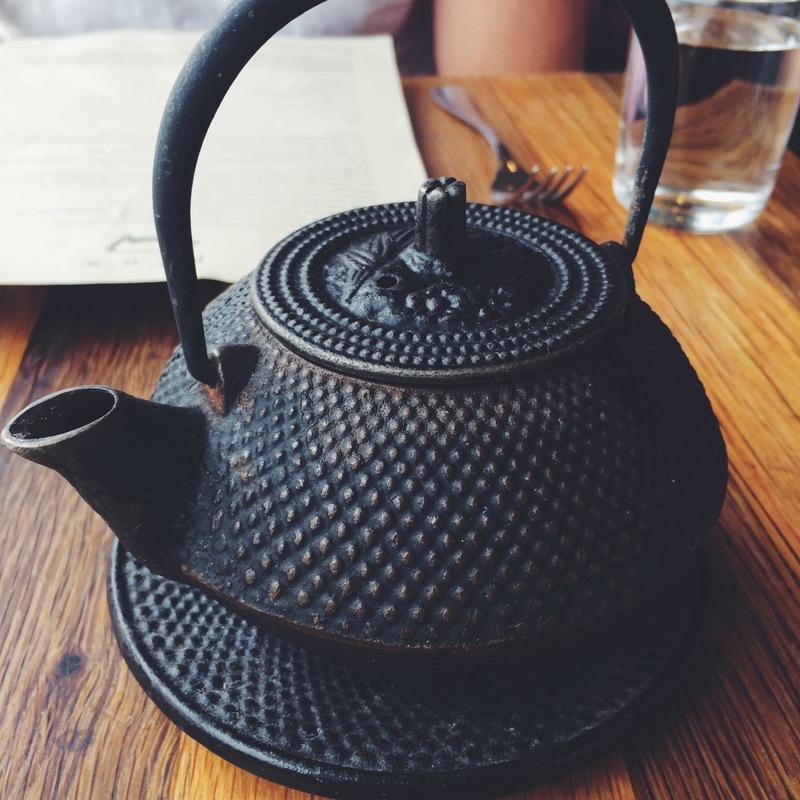 And I had a pot of jasmine tea. The menu made for a mouthwatering read, but multiple American breakfasts had left me craving something a little more wholesome. 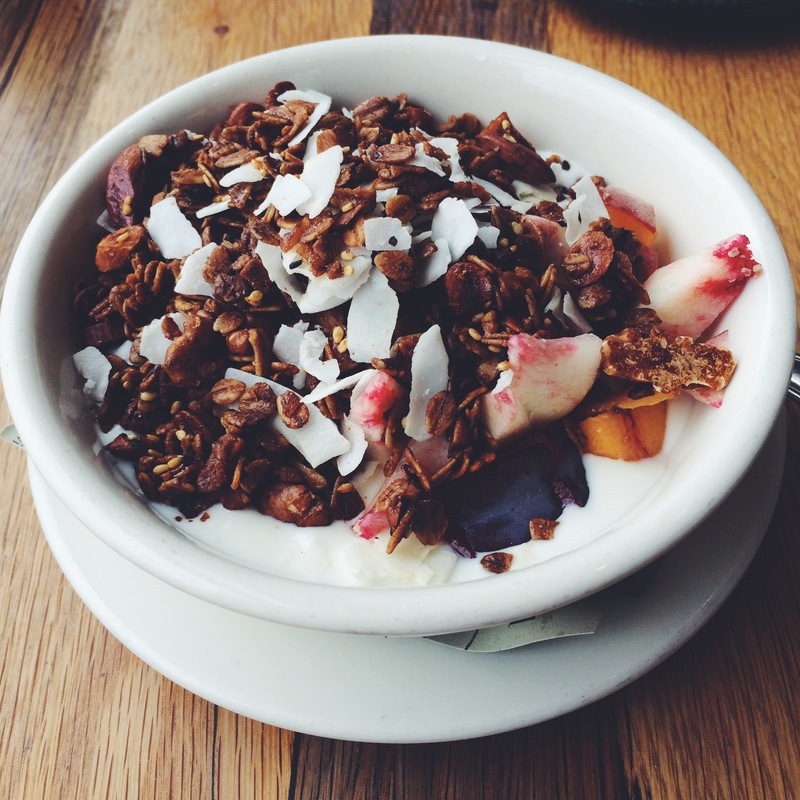 So I had yoghurt and fruit topped with homemade granola. Just what was needed. It was full of flavour. Alex, on the other hand, wasn’t shy of ordering another US style plate. 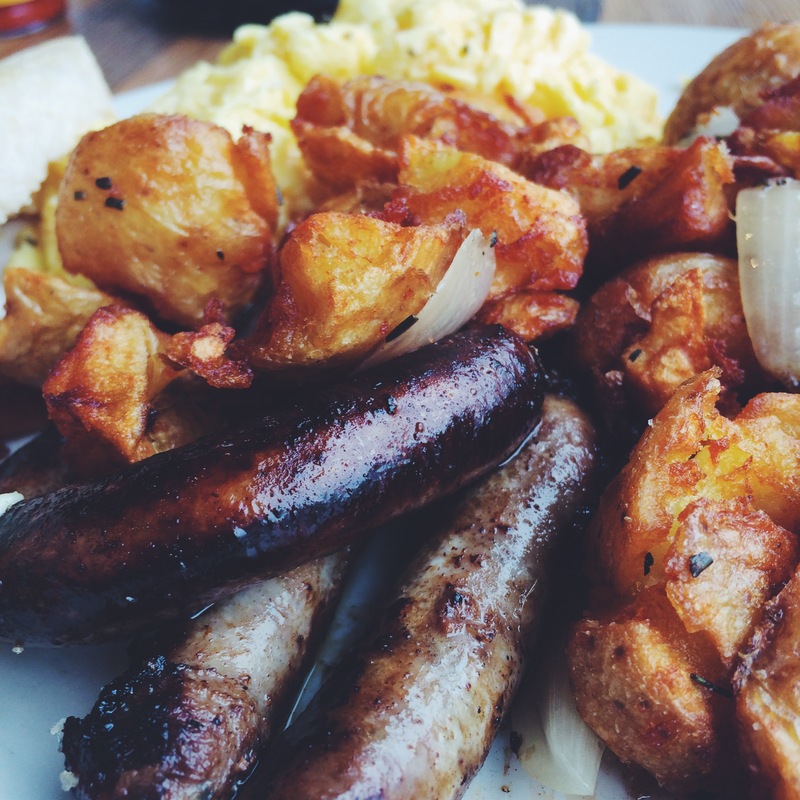 Eggs and chicken & apple sausage, served with the most delicious potatoes (I stole a couple). After that we took a short stroll up the road. 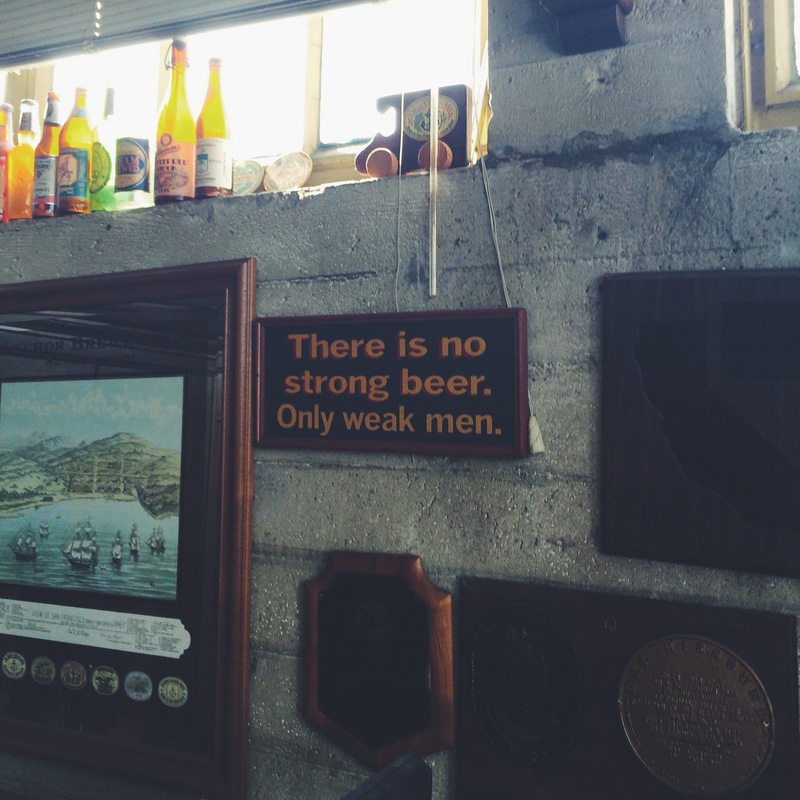 Is a brewery tour acceptable at 10am? On your birthday it is. 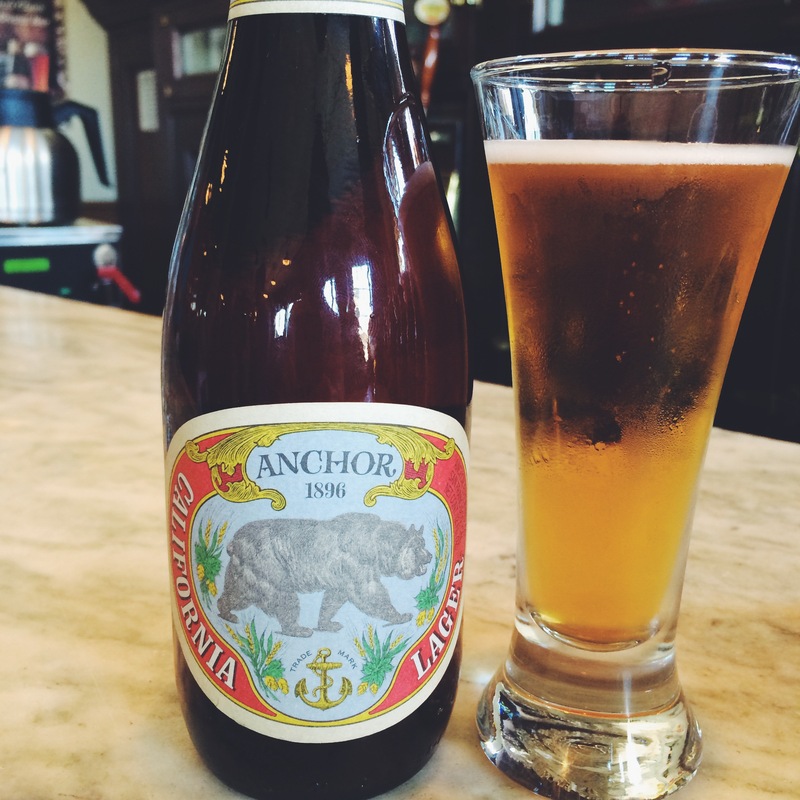 The Anchor Brewing Company is a San Franciscan institution. 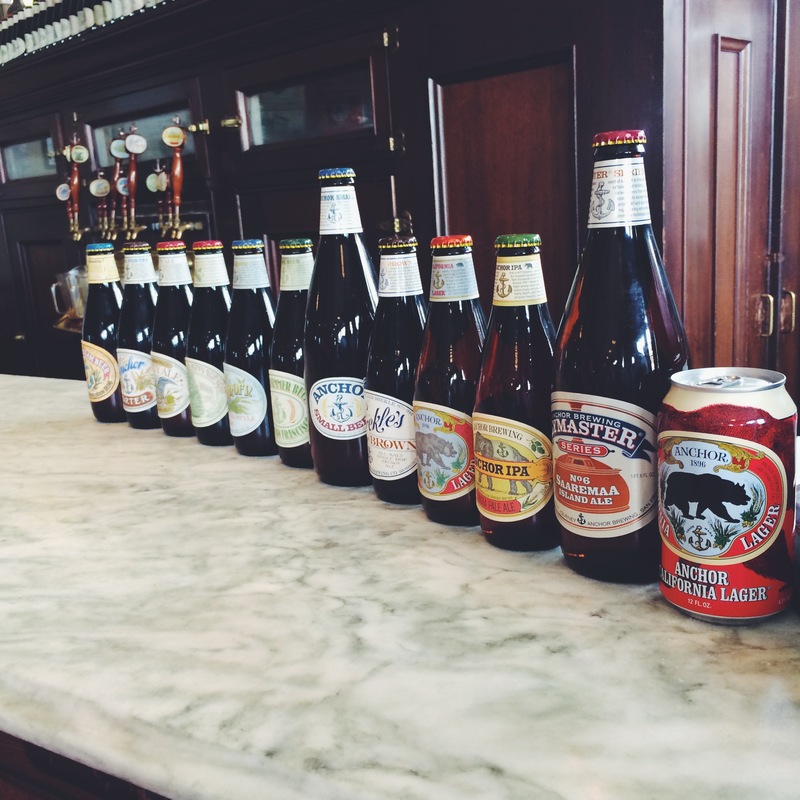 You’ll find its beer in almost every shop, restaurant and bar. 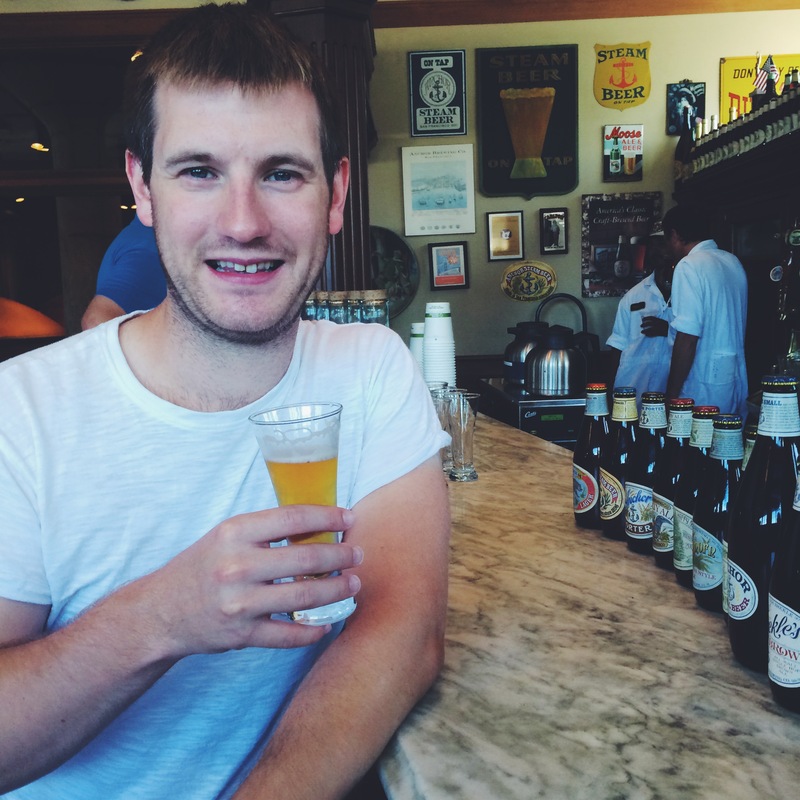 Alex has enjoyed his fair share this trip, so we thought it was about time we went behind the scenes. The tours run most days and are free (yes, free) but you need to reserve in advance. They’re pretty popular. 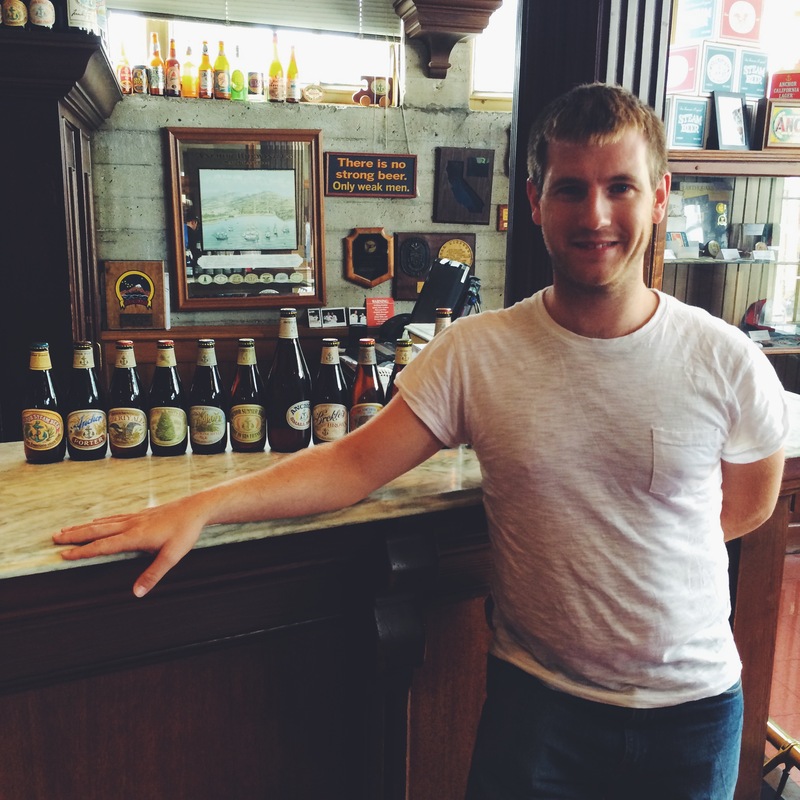 We learned a bit about the history of the company from our delightful guide, Bobby. The company was founded by a couple of German chaps in the late 19th Century. They survived earthquakes, fires and prohibition, only to almost go under in the 1960s due to poor sales and poor quality. Luckily, they were saved by an entrepreneurial young chap called Fritz Maytag, who bought a 51% stake in the company for a couple of thousand bucks, cleaned up their act and started producing bottled beer, to be drunk in the home (which had become much more popular in the States thanks to prohibition). So they survived (thank goodness) and they’re bigger than ever. 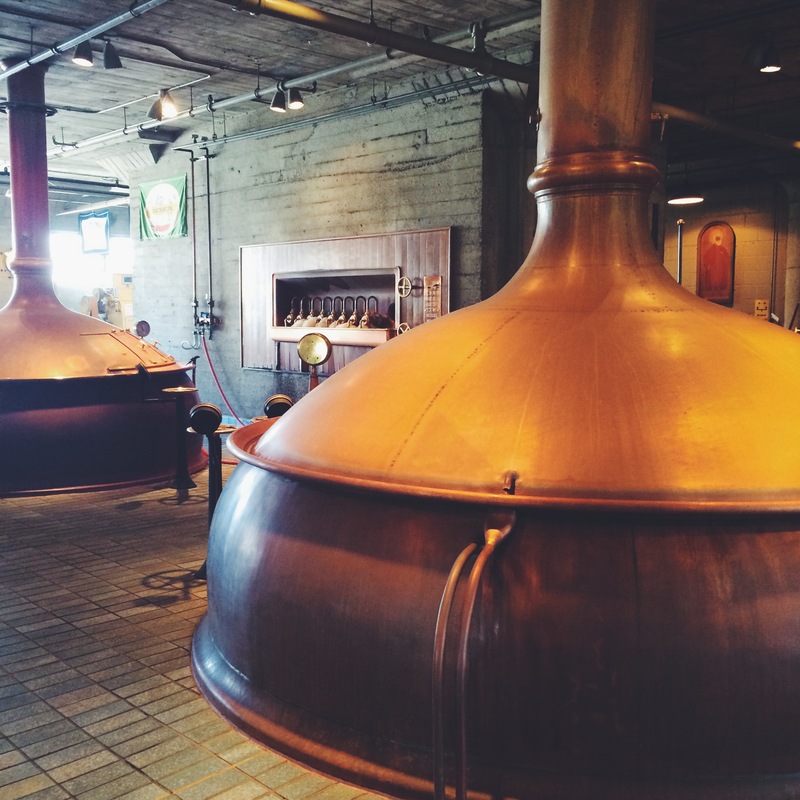 After our potted history, we took a peek behind the scenes to see the brewing process in action. 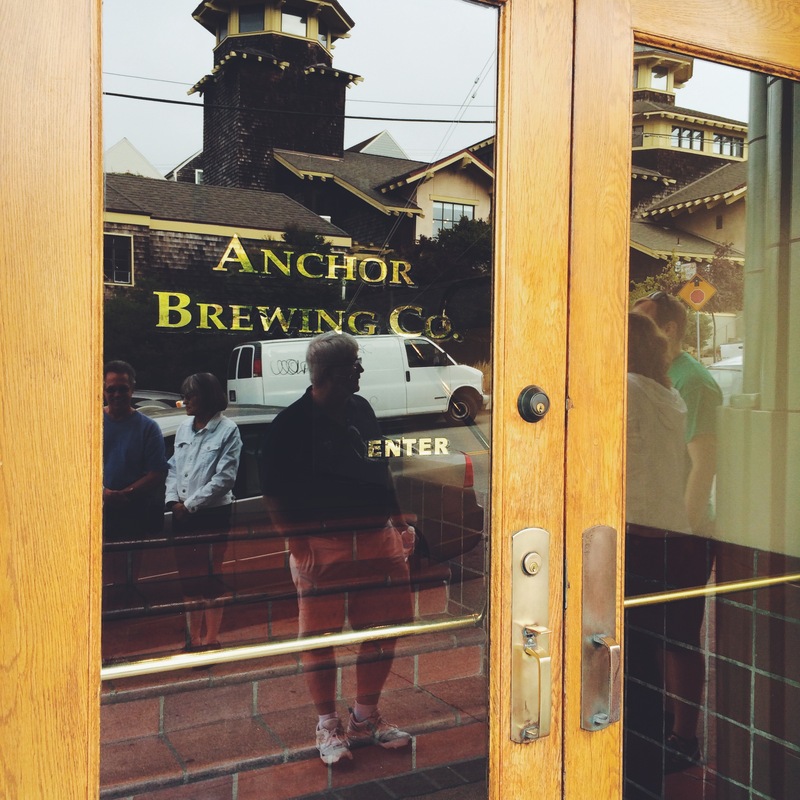 Every bottle of Anchor beer is made right here in this brewery. After we saw (and smelled) the process, we found ourselves back at the bar (much to Alex’s delight). Time to try some samples! When I mentioned the tour was popular, this is why. They have a great selection. Alex’s favourite (which we forgot to photograph) was the Liberty Ale, first brewed to celebrate the bicentennial of Paul Revere’s historic ride. 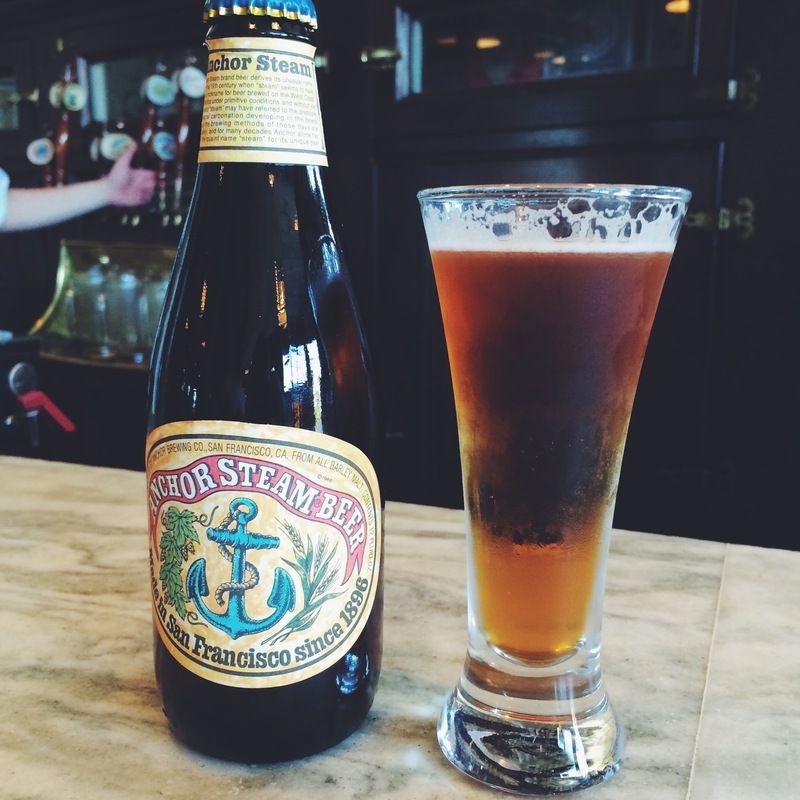 It was also the first modern American IPA to be produced after prohibition. A few tipples later, we waved goodbye to Bobby and his selection of beer. But not before taking in some final words of wisdom. We caught the bus back to our lovely apartment, then headed outside into the beautiful sunshine for a picnic. 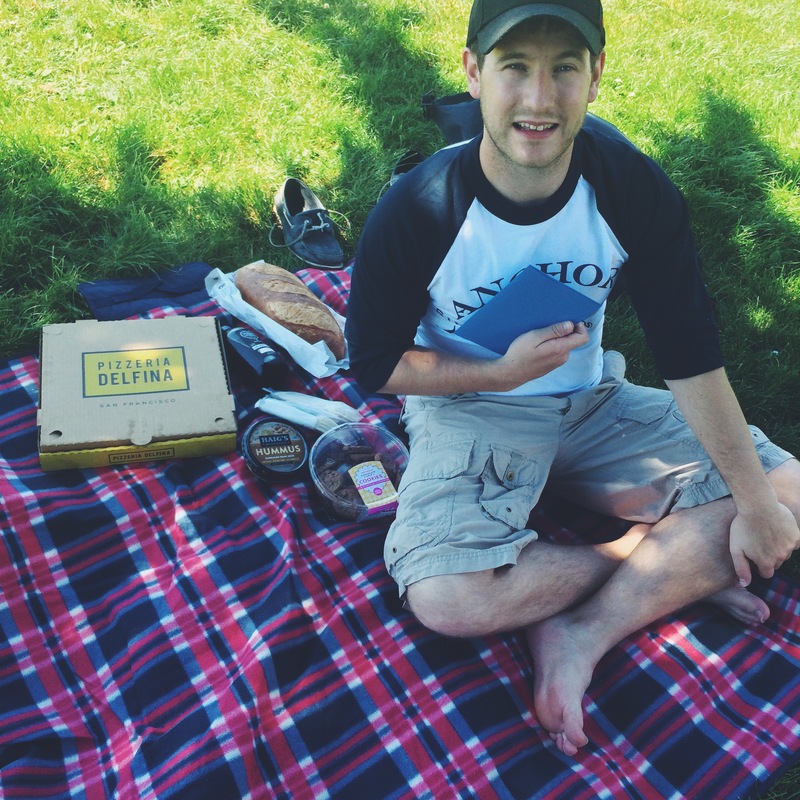 What’s the best sort of picnic food for a birthday? Pizza, of course. 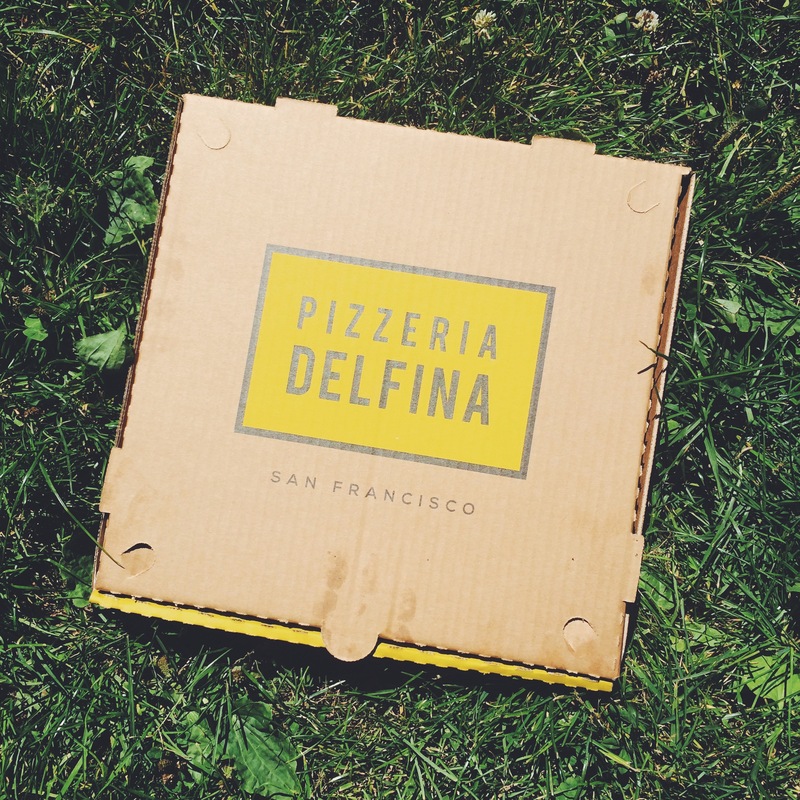 Especially when it comes from Pizzaria Delfina (both places we’ve stayed in San Francisco have been practically next door to one of these – coincidence?). On a side note, they also gave Alex a free ice cream for his birthday, so he was pretty chuffed. We settled down in Alta Plaza Park and tucked in. 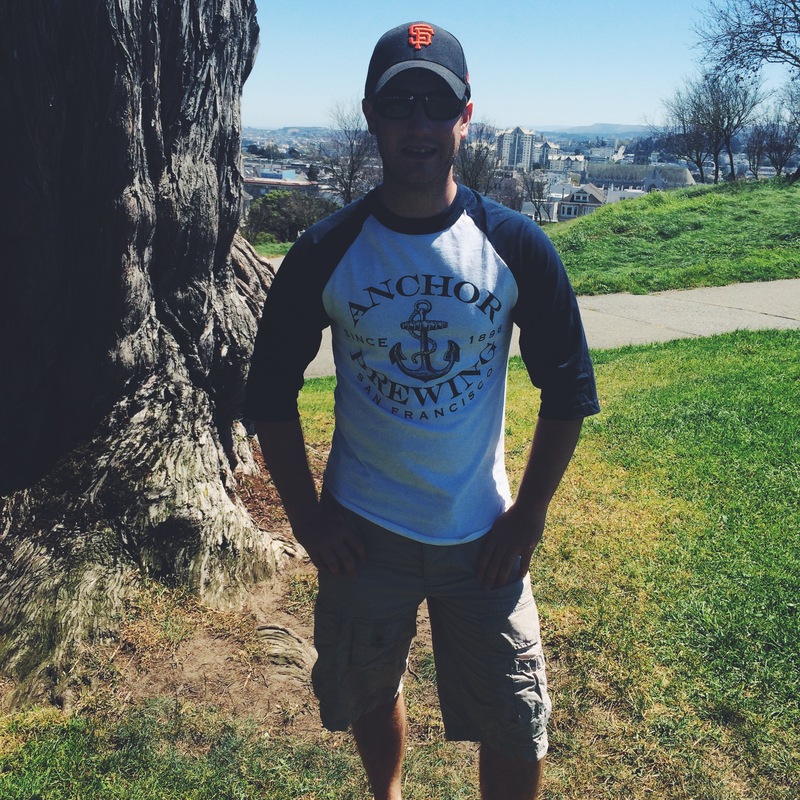 You’ll notice that Alex is sporting a baseball top from the Anchor Brewery. 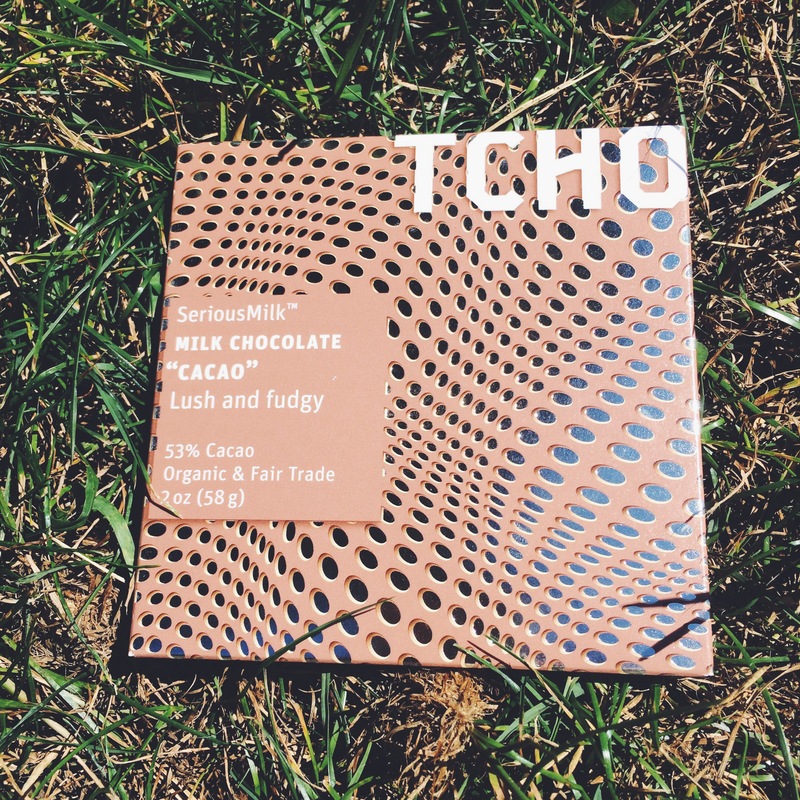 As well as the pizza, I’d also picked up a bar of TCHO chocolate. 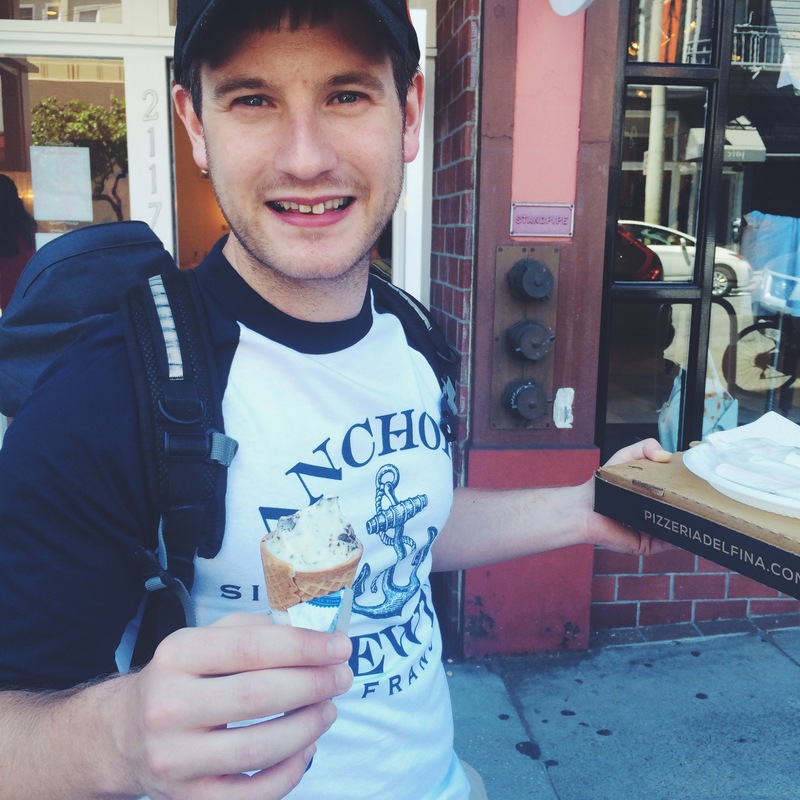 They’re based in San Francisco too – all the best coffee shops and ice creameries use them. It really WAS lush and fudgy. 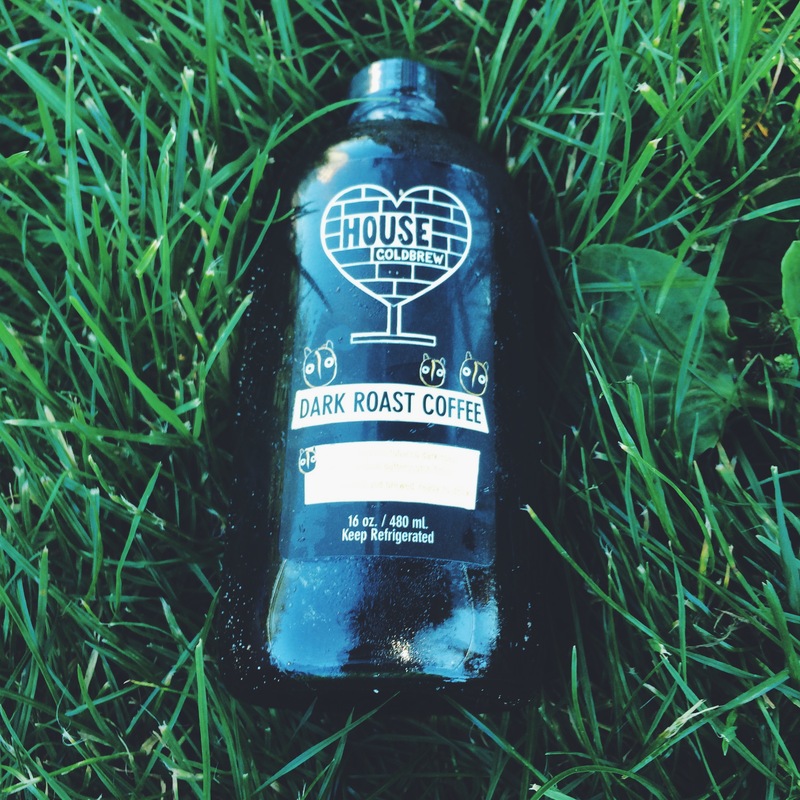 Alex also had a bottle of coldbrew coffee to try (which, admittedly, we’d bought in Santa Cruz but hadn’t drunk yet). 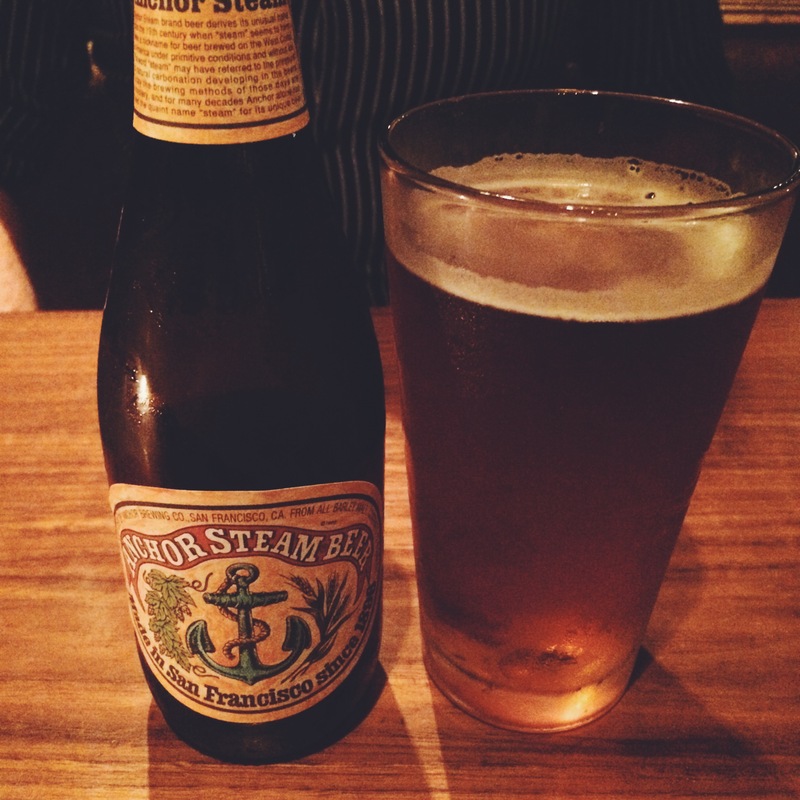 Verdict: very strong. Couldn’t possibly finish the whole thing in one go. After that we bought a couple of souvenirs from the lovely shops on Fillmore Street, before heading back to the apartment for some Netflix and a nap (brewery tours and picnics are hard work!). That evening, we went to Chambers for dinner, the restaurant and lounge based at the Phoenix Hotel. 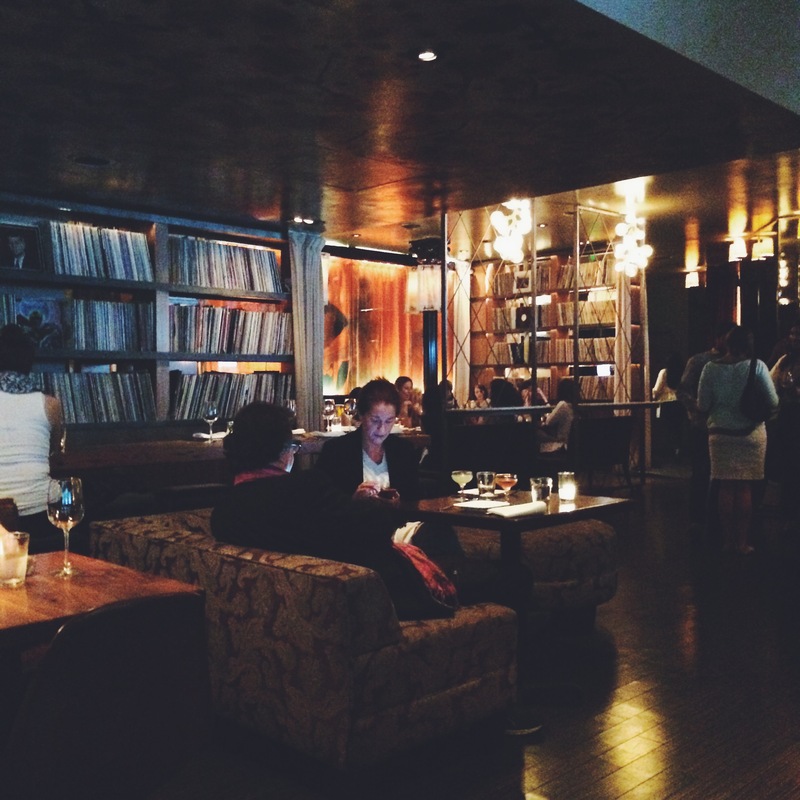 The walls are all lined with records – pretty awesome. We started with some celebratory cocktails. And shared some delicious starters. 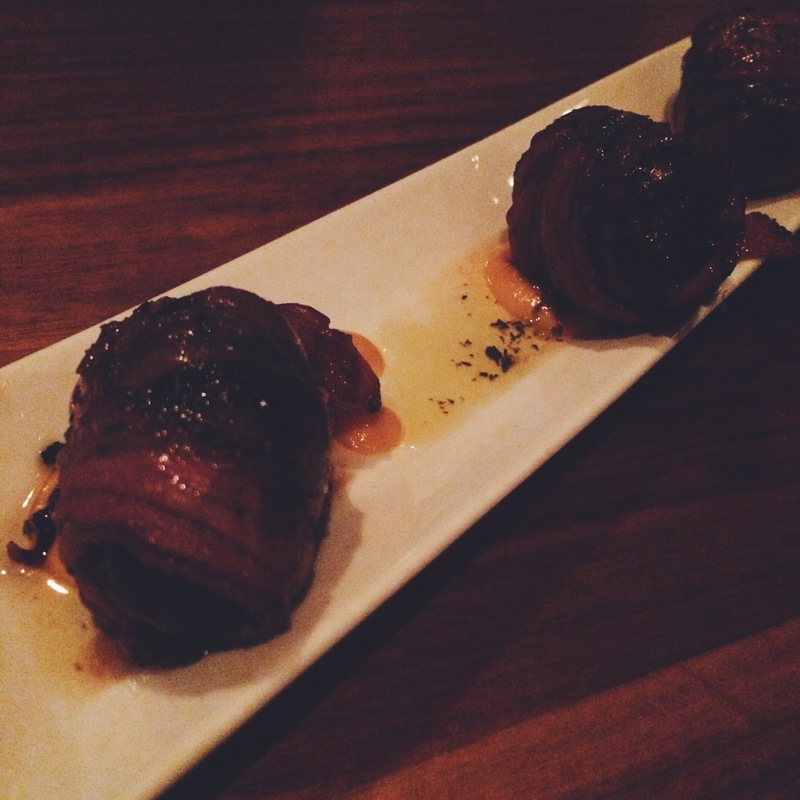 Dates stuffed with lamb pancetta and cheese. These were excellent. 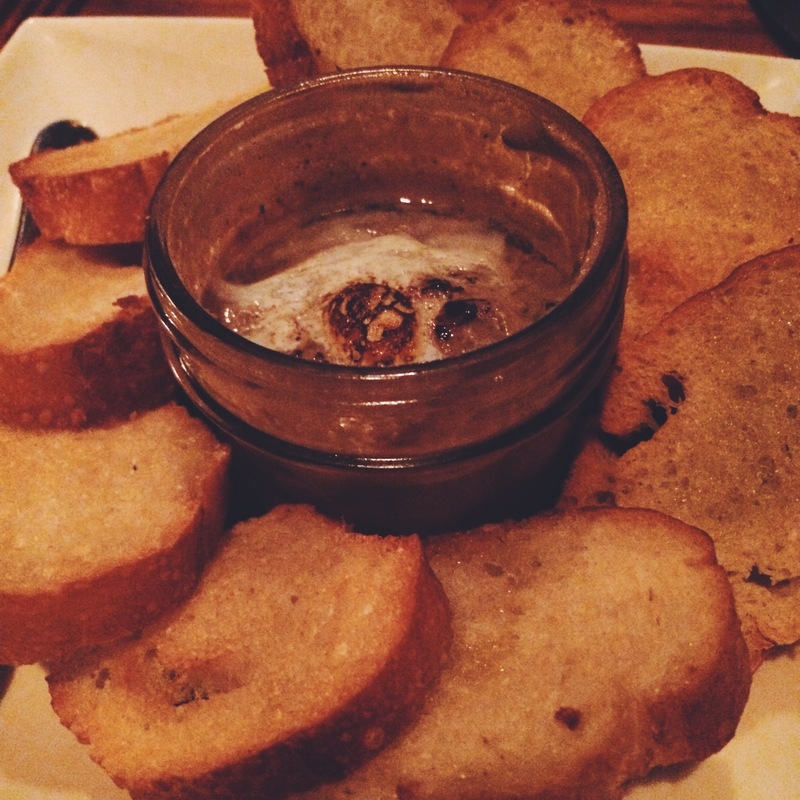 And some chicken liver pate, which had a quails eggs stirred into it. Not quite as awesome as the dates, but delicious nonetheless. 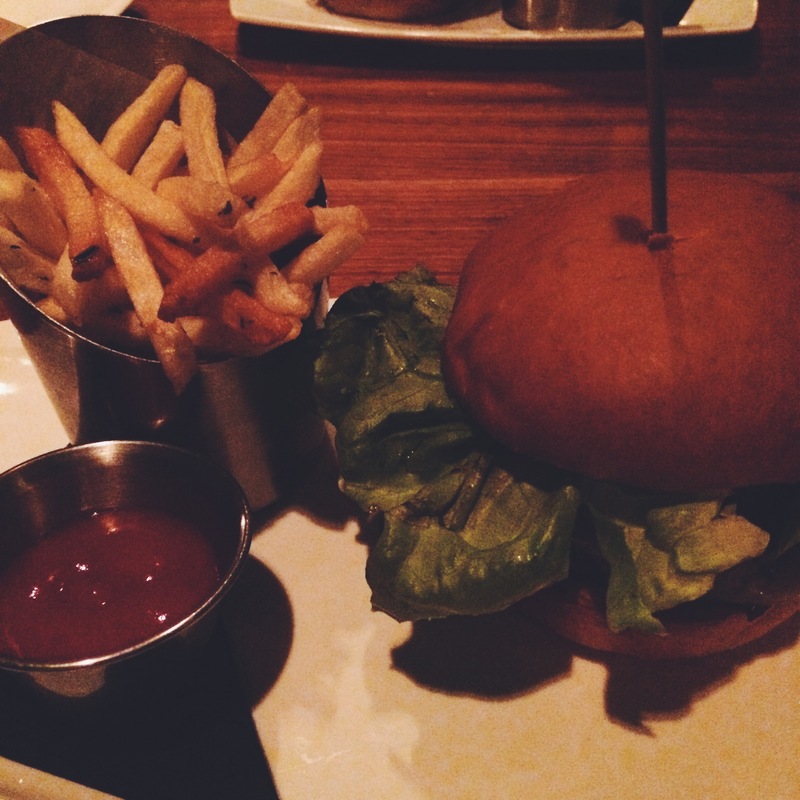 For our main course, we both had the burger. I added avocado to mine, and Alex added pork belly. They were served on a challah bun (very nice, but not as good as London’s ubiquitous brioche bun) with crispy, perfectly seasoned fries. 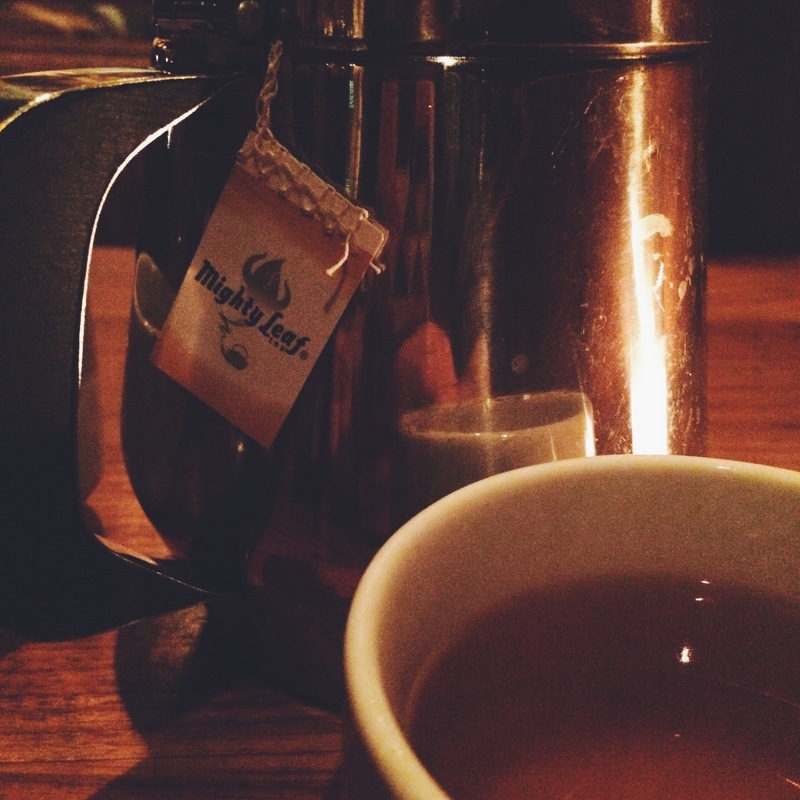 And a pot of mint tea for me (don’t say I don’t know how to partay). 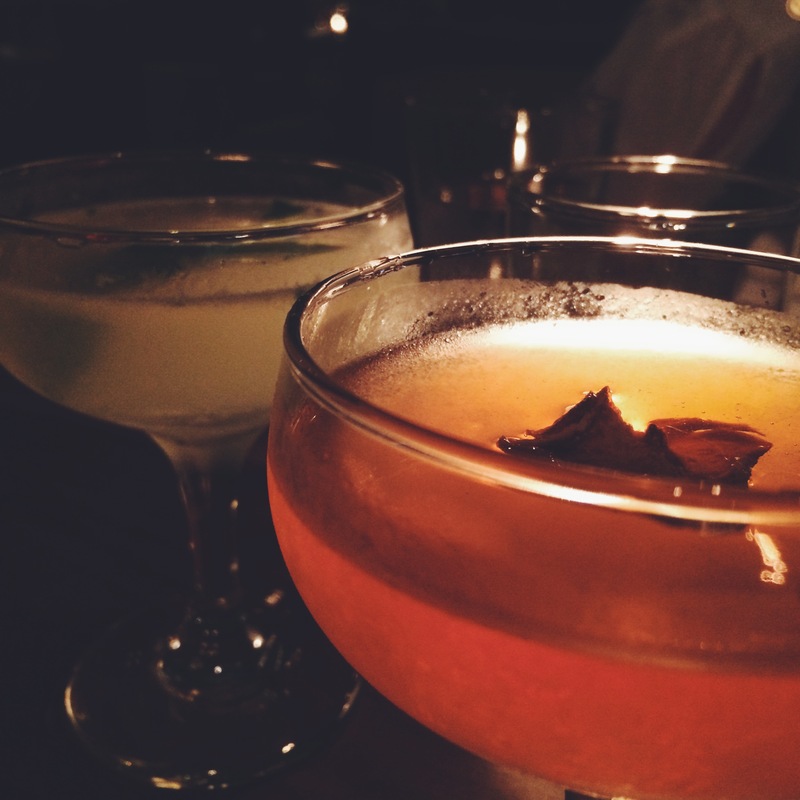 We finished the evening with a cocktail at San Francisco’s famous speakeasy, Bourbon and Branch. It sits on the site of a real speakeasy, which operated during the Prohibition era under the guise of a cigar shop. Dark and mysterious, you give a password to the doorman and you’re led into your own booth and handed a (very thick) cocktail menu. We each enjoyed a delicious (and pretty strong) cocktail before heading back to our lovely apartment, ready for our final day in San Francisco.